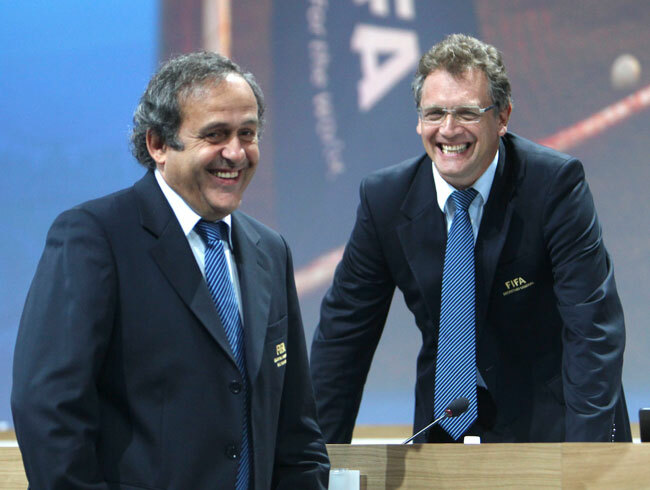 UEFA President Michel Platini and FIFA general secretary Jerome Valcke in happier times. Right at a time when FIFA should be concentrating full focus on the delay-battered World Cup finals in Brazil so it has been distracted by a dance back down the Qatar 2022 path. UEFA president Michel Platini, also a FIFA vice-president, has expressed his annoyance at surprisingly specific comments about the timing of the 2022 World Cup by Jerome Valcke, the world federation’s secretary-general. Valcke, in a French radio interview, said that the Qatar finals would be shifted out of the traditional summer dates and that the most appropriate likely timing would be between November 15 and January 15. FIFA’s executive committee had decided, last October, to set in train a worldwide consultation process which was designed, also, to take the heat out a debate which was proving a distraction from the imminent 2014 finals in Brazil. A senior FIFA media official tried at first to deny Blatter had made his comments but at least no such total denial followed Valcke’s words. Platini, a possible contender for the FIFA presidency next year, was reported in Paris sports daily L’Equipe as being unhappy with Valcke’s intervention. He said: “When the executive committee was held in early October, it was decided to launch a major consultation of all football and no decision would be taken before the 2014 World Cup in Brazil. “It was also agreed not to talk about this before then. “I do not see why it is discussed publicly. Two months Blatter spoke about it. Now it’s Valcke. This is supposed to be a decision for the executive committee of FIFA. But maybe the executive committee doesn’t matter. 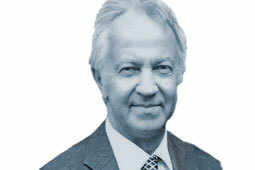 “If the decision has already been taken then it does not even need to meet, except for those people who enjoy chatting. Platini has never made a secret of the fact that he voted for Qatar or that he has always campaigned for a winter hosting. FIFA’s British vice-president Jim Boyce has also said he was “totally surprised” by Valcke’s comments. FIFA had reacted to Valcke’s interview by rushing out a statement which added further confusion since it was self-contradictory – stating both Valcke’s opinion and then trying to claim that the consultation was in no hurry since the Qatar World Cup was a long way off. Valcke’s comments are being seen in some quarters as an attempt to create a diversion of media attention after the long-distance war of words between Blatter and Brazil’ state head Dilma Rousseff over much-delayed preparations for this year’s finals.